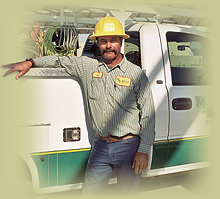 Dedicated, Talented, Experienced... Our People are Our Company! 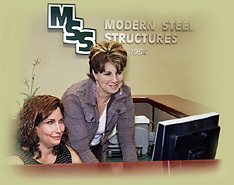 Modern Steel Structures has been doing business in California's growing Central Valley for nearly half a century. Experience, integrity, and superior service have been our hallmarks for the entire time. With over 95% of our business consisting of repeat customers, we're confident our formula for success is right on track. 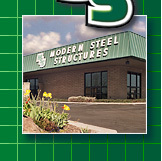 Our project foremen average 20-plus years of continual employment at Modern Steel. Crew members average well over 5 years with us. Whether in the field or in the office, our people are the foundation of our company... experienced, loyal, efficient, quality-oriented individuals committed to bringing you the very best product  on budget and on time, every time. 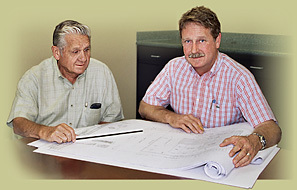 The company was founded by Bill Coppedge (below, left) in 1964. He built both the company and his reputation by providing not only a superior product, but unsurpassed service and careful attention to his clients' needs. 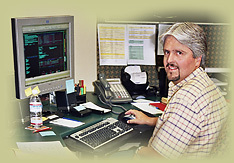 throughout the years, becoming president of the company in 1996. Together with their staff and crew, both have made Modern Steel Structures the design/builder of choice in Central California.